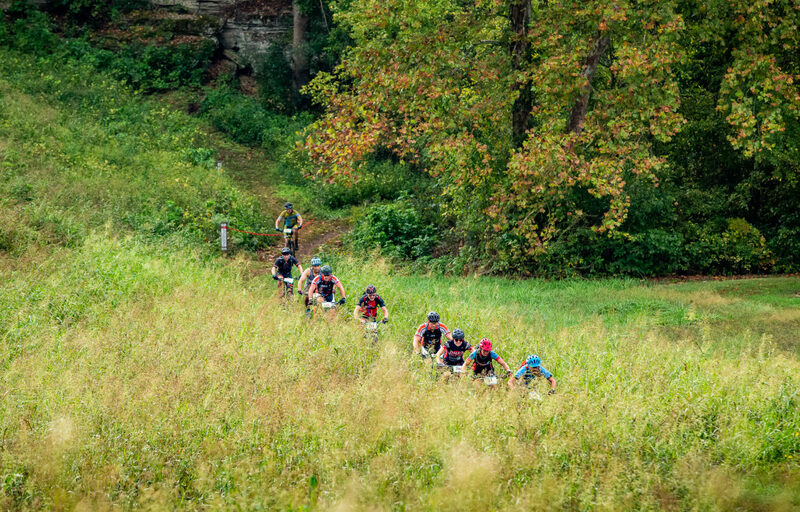 Ride the Oz Trails Off-Road: choose from three different distance options (25, 35 or 50 miles), each crafted from a carefully-curated set trails in Bella Vista and Bentonville, Arkansas. 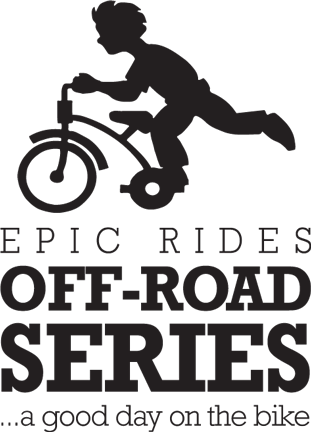 All participants will enjoy a neutral rollout from downtown Bentonville into the foothills of the Ozark mountains. 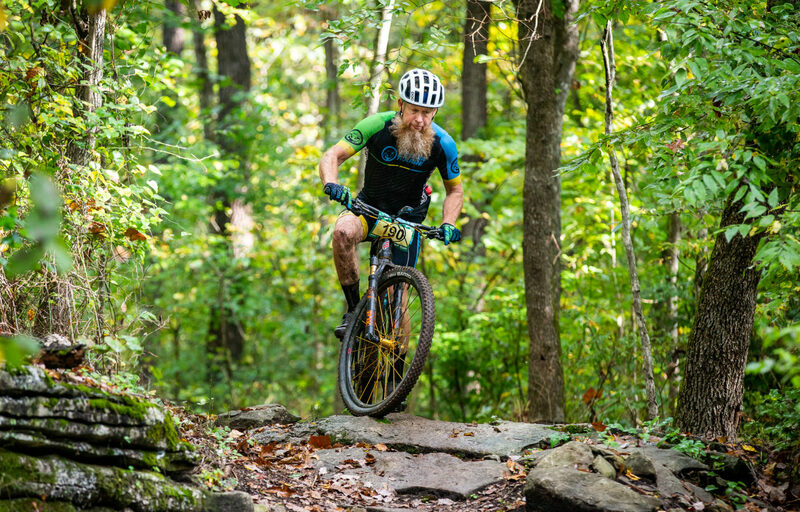 Once they’ve entered the shade cast by the forest’s expansive pine tree canopy, participants will connect with a selection of the finest Northwest Arkansas (NWA) singletrack, occasional double track, and paved segments. 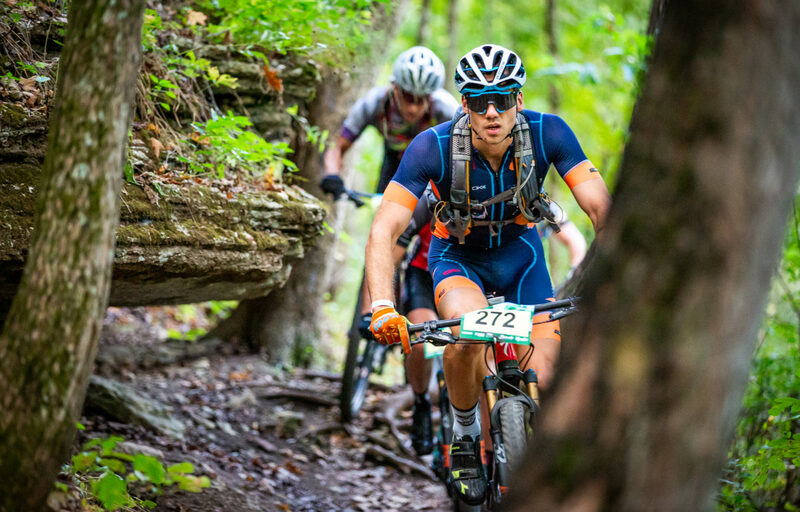 During your visit to Northwest Arkansas, enjoy three days of event festivities while being submerged in the mountain bike industry. 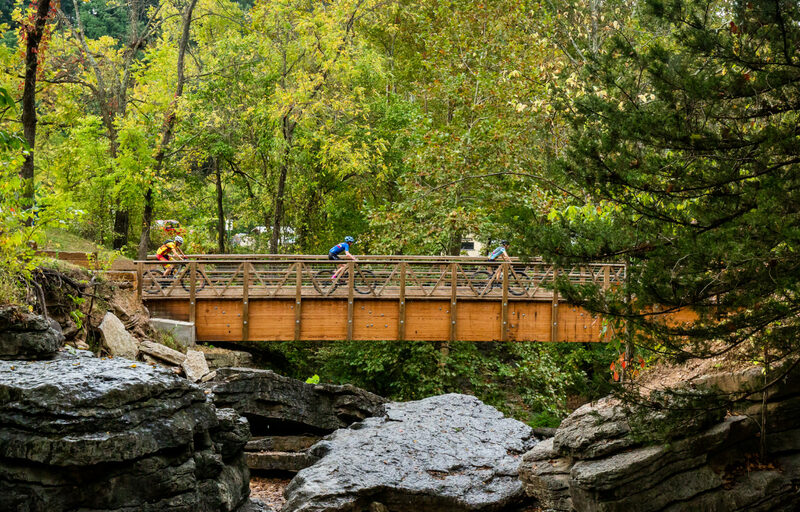 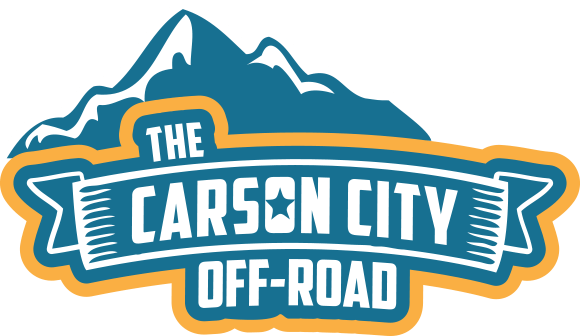 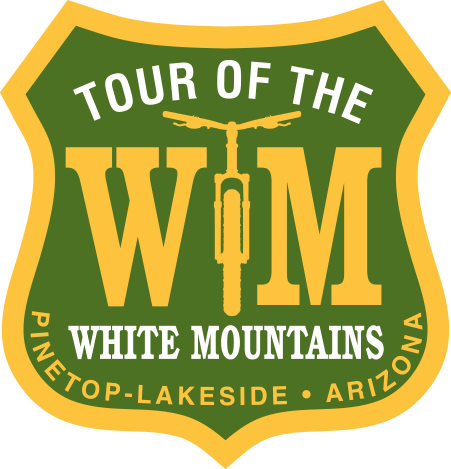 Mingle with the most bike-minded people you’ll ever encounter while appreciating the area’s New American Town vibe and feel welcomed by a unique southern hospitality extended to the outdoor enthusiast. 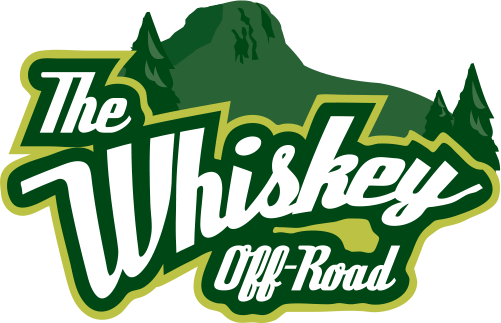 With an award in the form of a custom designed mason jar filled to the brim with locally produced pimento cheese; top-notch free live music; a cold Finisher Beer (gratis); and the comfort of Bentonville’s quaint downtown waiting at the finish…This is one finish line worth preparing and persevering for. 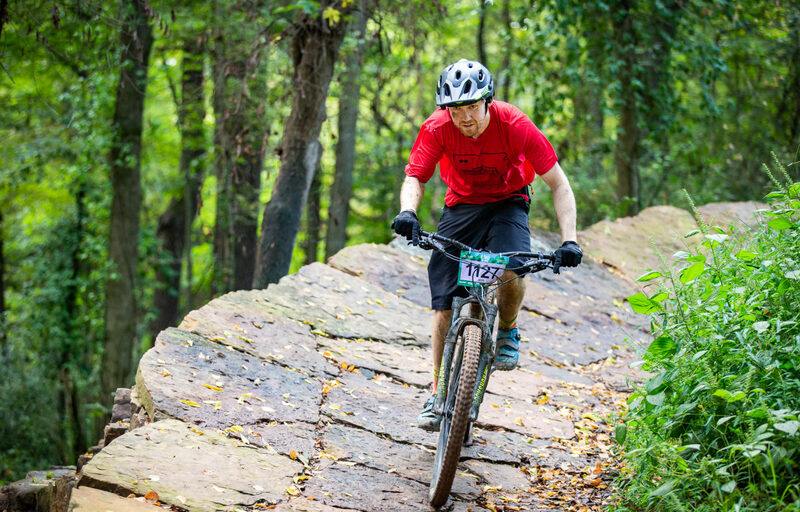 Epic Rides 2018 The Oz Trails Off-Road had a 95%+ finish rate. 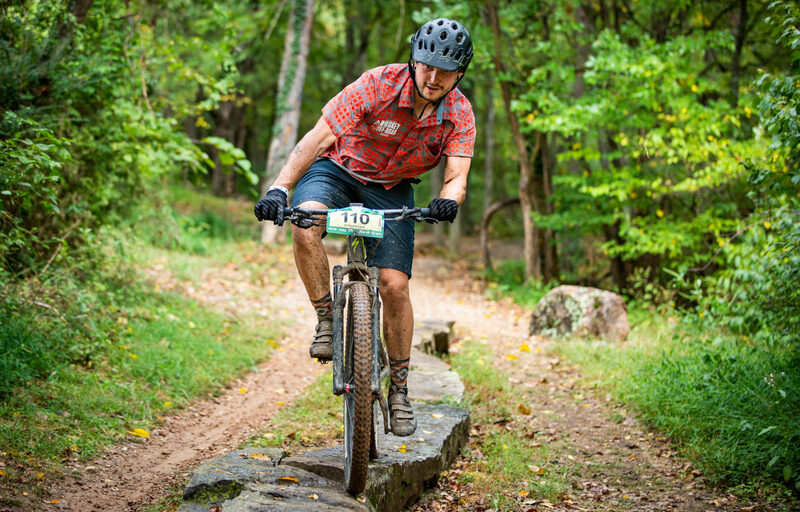 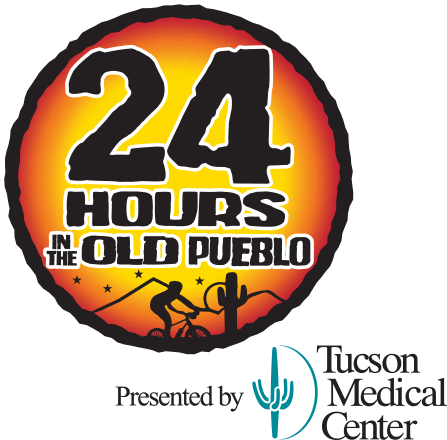 Bring your endurance and Jedi singletrack handling skills, and you’ll do just fine. 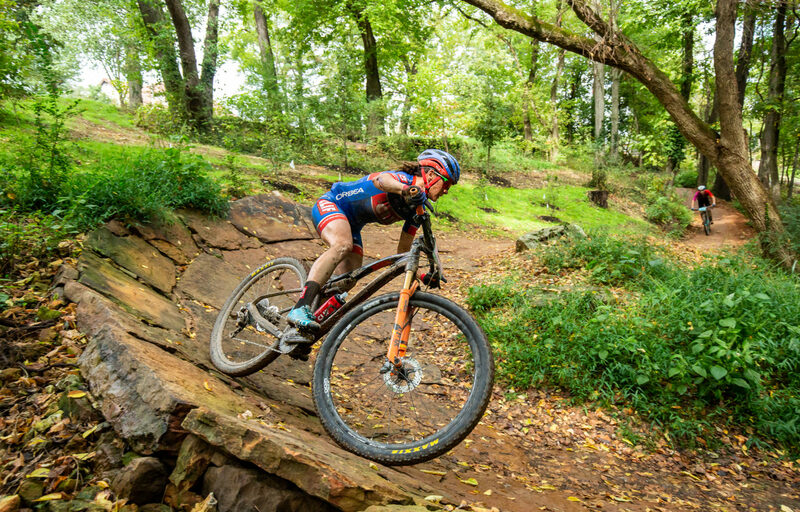 Whether you’re riding, walking around the bike industry expo in Bentonville’s storied town square, or cheering for the Pros in their pursuit of the $160,000 series cash purse, there’s something for everyone.